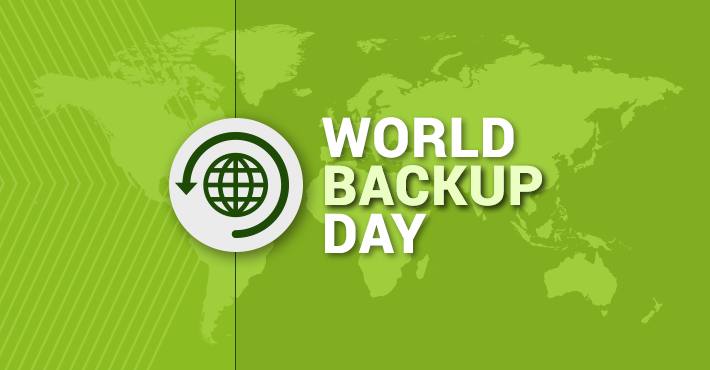 On March 31, 2019 we celebrate the World Backup Day, a special day reminding us of the importance of data backups. This is a perfect time to look closer at you company backup systems. Are they in place? Do they actually work and can you use them when it’s really needed? To me this is going to be personal. Why? No longer than yesterday, I was confident that I have my home backups under control. Now I am tearing my hair out as I have lost about 1TB of photographs from like… my whole life. What a pain! Having my personal tragedy in mind, take a moment to double-check your backups. Not only the private backups but more importantly backups that are supposed to secure your company data – just in case. Security and availability of company data is crucial. First of all, because business data like emails, contacts or calendars allow companies to operate smoothly. Second of all, organization are subjects to various legal regulations, which make companies responsible for keeping track of business electronic data and making it available to legal authorities, if needed. Finally, you do not want to be under that extreme stress of losing business data with no guarantee it can be recovered. I can ensure you – this can be a way more stressful than losing just 1TB of through-life photographs. Company data is critically important. No matter what platform you use, on-premises Exchange or Exchange Online, SharePoint or OneDrive for Business, always treat your business data like a priceless treasure and back it up. Not once. Do it continuously, automatically, and reliably. Once for a while, think of a disaster happening and check how quickly you can restore data from backups or whether the backup copies are not corrupted and can serve as a source of up-to-date data. As administrators usually have a way too much on their plates, there is always some room for automation. Using backup tools lets you save time and effort. You can automate and schedule the backup process, easily archive and restore data if necessary. The peace of mind that follows a good backup strategy is incalculable. All in all, I wish you that you never have to cry over dead HDDs, be adrenalized by company data loss and simply never have to worry about possible disaster hitting your office. Be secured, create solid backups! How to back up SharePoint Online and OneDrive for Business? Archive vs backup – what is the difference?